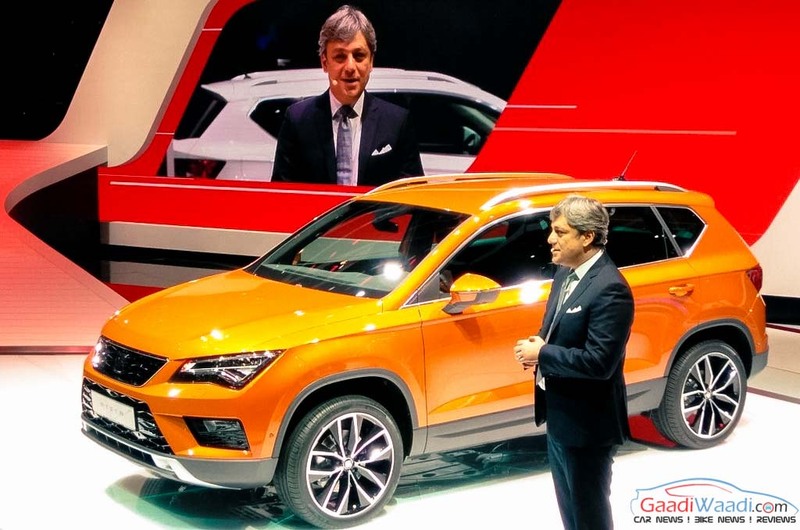 SEAT has unveiled its first-ever SUV – the Ateca – at the ongoing 2016 Geneva International Motor Show. The Spanish automaker has announced that Ateca would be launched across three trim levels with an introductory price of £17,990 (Around Rs. 17 Lakhs) in the UK. 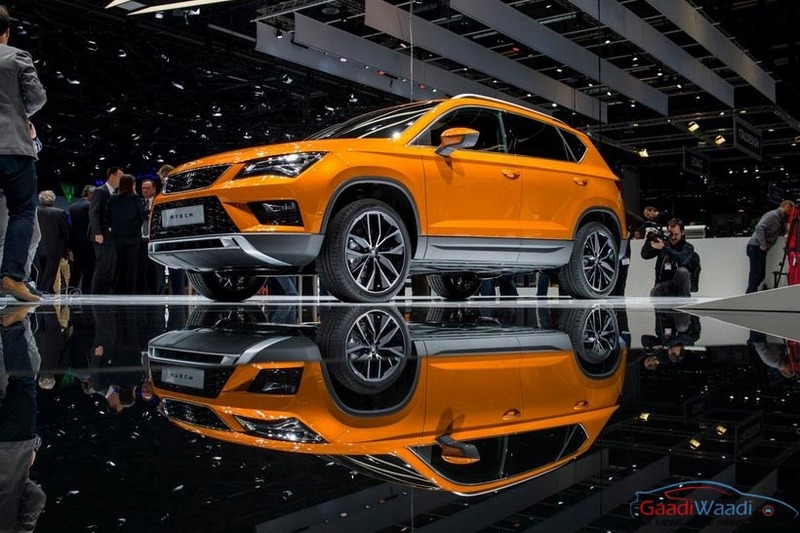 SEAT Ateca’s full range pricing and specifications would be released on May 1, 2016. Though, the Ateca SUV is launched in both petrol and diesel fuel trims with multiple engine options to choose from. SEAT Ateca features air conditioning and 5-inch Media touchscreen infotainment system as standard. On the safety front, it gets standard features in form of seven airbags, drowsiness detection, tyre pressure monitoring and Front Assist. Moving to the mid trim SE, it come loaded with a few extra features like 17-inch alloy wheels, LED tail-lamp cluster, dual zone climate control, leather steering wheel and rear parking sensors. The flagship variant XCELLENCE boasts of full LED headlamps, roof rails and window frames in chrome, a high-gloss black grille, dark tinted windows and 18-inch alloy wheels. Inside the cabin, it has multi-color ambient lighting, reversing camera, rear parking sensors, rain and light sensors and KESSY (keyless entry and stop and start system) as standard features. Mechanically, SEAT Ateca comes in both petrol and diesel guises. The petrol variants are available with two engines: a 1.0L turbocharged TSI motor developing 113bhp and 200Nm; a 1.4L turbocharged TSI mill generating 147bhp and 250Nm. Both the engines are linked to a 6-speed manual transmission with power being transferred to the front wheels. The diesel variants are offered with a couple of powertrains: a 1.6L turbocharged TDI engine with 113bhp and 250Nm; a 2.0L turbocharged TDI engine with 147bhp and 340Nm. An option of DSG automatic gearbox is also available with the higher variants of 2.0L powertrain. Also, the flagship variant, with the 2.0L, has the top power of 187bhp and peak torque of 400Nm, while mated to DSG transmission and an AWD system as standard. 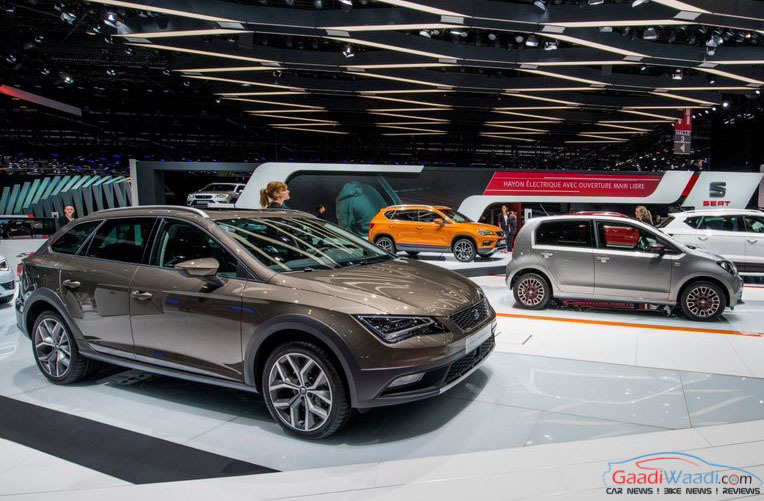 Just so you know, SEAT doesn’t sell its cars in the Indian sub-continent, and neither its speculated to make an entry in the Indian market anytime soon.